Summer's finally rolling in and it's time to hit the beach and vibe out to some sick tunes in the sun. Announcement highlights for the week included the expansion of Marlon Williams' upcoming Tūrangawaewae tour to encompass twelve shows across Aotearoa this February, the return of Australian alt-rock icons Regurgitator for a three date tour in March, an extensive national summer tour by Dunedin guitar-pop maestros Soaked Oats in celebration of their upcoming single 'Shuggah Doom', a three date tour from Mike Nesmith and Micky Dolenz of sixties US pop sensations The Monkees (! 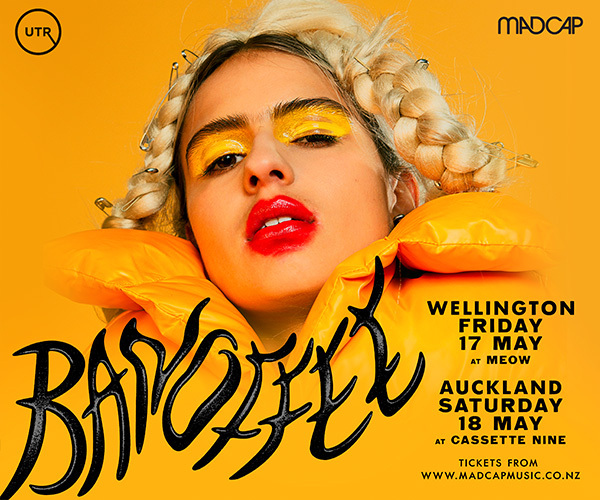 ), a two date tour from Peru-born experimental turntablist Maria Chávez happening this month, and the first ever live show from visiting raunchy US rap queen Brooke Candy, taking place this Sunday at Auckland's Whammy Bar. 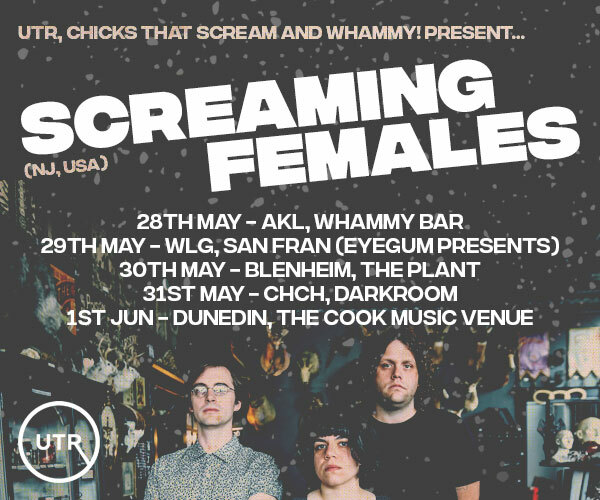 We were privileged to host a chat between Wellington dream-pop crew French For Rabbits leader Brooke Singer and ace music writer Martyn Pepperell ahead of this week's special North Island tour in collaboration with multimedia artist Lady Lazer Light. We were also stoked to premiere a clutch of crucial local releases, including the sonically diverse debut album from Wellington supergroup Congress of Animals featuring Ben Lemi, Age Pryor, Justin Firefly, Nigel Collins, Deanne Krieg, and Bret McKenzie of Flight Of The Conchords. We also premiered the dazzling lead single from Christchurch dance-pop artist Laura Lee Lovely's upcoming debut solo album, and the apocalyptic latest single from Wellington metal maniacs Dark Divinity, accompanied by a menacing and visually stunning clip directed by Amber Beaton. 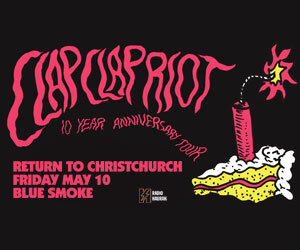 The wave of killer local releases has yet to abate, with Auckland teen rap sensations Church & AP dropping smoking new track 'Ready Or Not', super city dancefloor terrorists North Shore Pony Club returned with a new EP featuring contributions from Lunavela (aka Collapsing Cities frontman Stevie Mathieson), experimental / post-rock crew Kerretta unveiled a foot-stomping new track from their first album in four years, fuzz-loving Canterbury songwriter Adam Hattaway (Wurld Series, The Eastern) and his group The Haunters shared a selection of tunes from their upcoming album All Dat Love, Auckland's DROOR (aka Daniel Ward of The Sneaks) lifted the lid on the infectious lead single from his upcoming album Winter Flowers, and Christchurch bedroom pop artist Pickle Darling shared the sparkling latest track from his new album Bigness. Lukasz Pawel Buda, Samuel Flynn Scott and Thomas Conrad Wedde of Wellington's The Phoenix Foundation joined forces under the name of Moniker to unleash a krautrock-themed Christmas album titled Merry Krautmas, and a vinyl compilation of recordings by sadly departed King Loser member Celia Mancini was announced to launch later this month, collecting twelve rarities laid down by the legendary artist between 1988 and 1998. Head over to our Gig Guide for more listings!! !